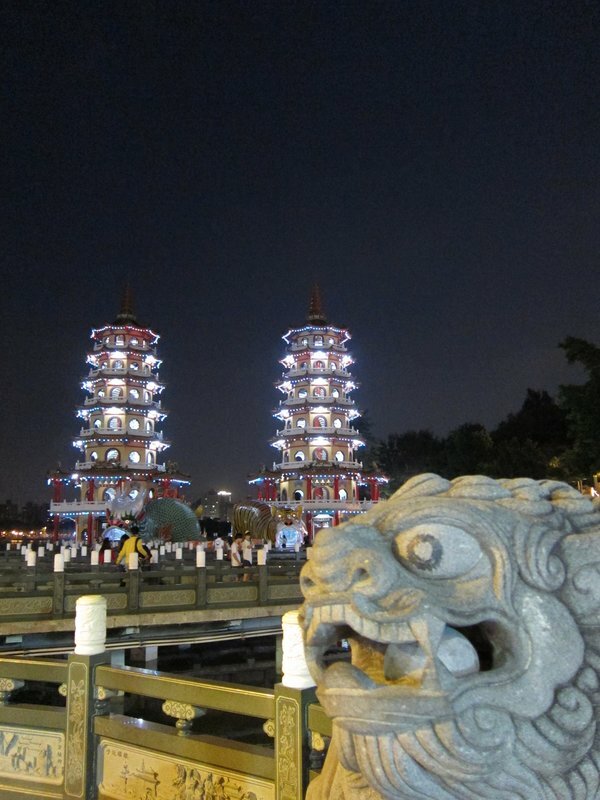 Taiwan, some of us may only know their capital city, TaiPei, but KaohSiung is another big city in Taiwan. 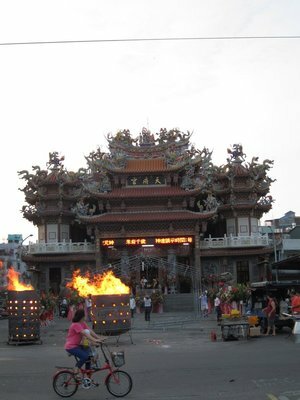 If you afraid for the political, sanitation or safety in China but still want to feel the Chinese culture, Hong Kong and Taiwan are your choices to travel. 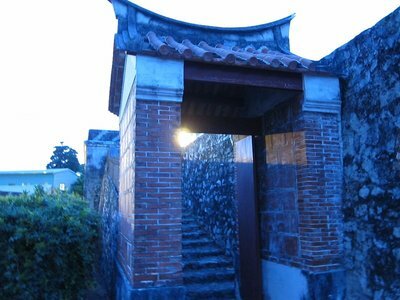 This Autumn, I have been to KaohShing, the southern part of Taiwan. 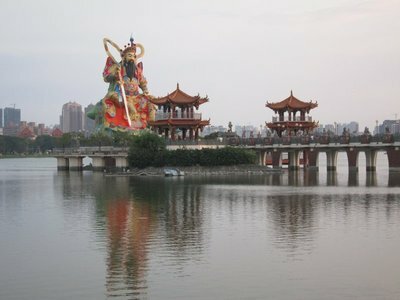 There are lots of places for sightseeing, eating in night market, cycling at outlying island, shopping in modern mall, and feeling the Chinese religions culture at Lotus Pond. 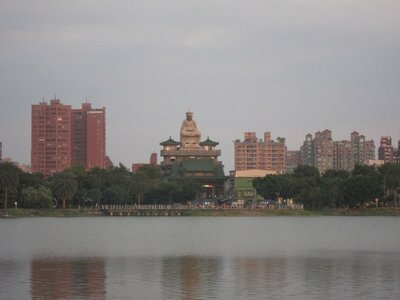 Lotus Pond, a small man-made lake with many temples and god statues. 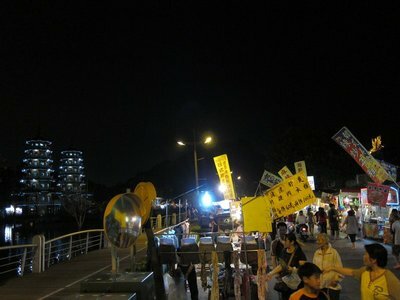 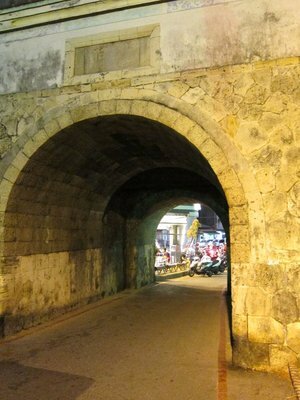 At the night time, there is a night market with food stall and game stall. 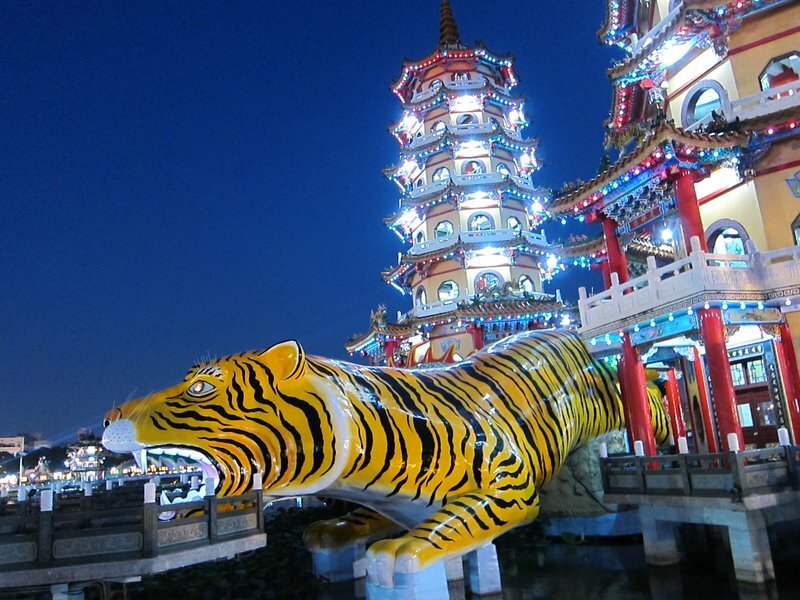 This is the Dragon and Tiger Pagodas, they built for auspicious. 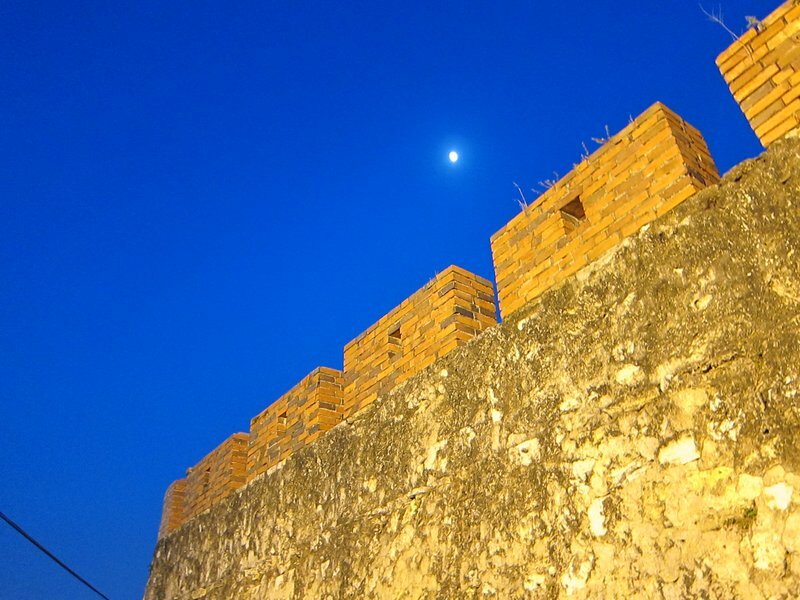 The day time and night time have totally difference view.